Welcome to Washington, where the rent is too dang high — and so are car insurance rates. But you don’t have to break your budget — Compare.com can help! We’ll explain all the ins and outs of D.C. car insurance: what the requirements are, how no-fault insurance works, and how you can get cheap rates. Don’t have time to read all this? Skip ahead to the good part and get quotes for cheap car insurance on Compare.com. 1. Which Company Offers the Cheapest Auto Insurance in D.C.? D.C. car insurance is so expensive, isn’t it? Compared to all 50 states, the District has the fourth highest car insurance rates in the U.S. So which insurance company can give you the cheapest rates? The truth is, there’s no single company that offers the cheapest rates to every D.C. driver. That’s because car insurance rates are based on an individual driver’s level of risk, and every insurance company calculates risk differently. If you’re young, single, and/or male, you may pay more; if you’re older, married and/or female, you may pay less. Your insurance costs also may depend on the car you drive, your address, your driving history and your credit. Consumer Reports actually found that a D.C. driver with poor credit and a perfect driving record may pay $700 more per year than someone with great credit and a DUI. Crazy, right? This means there’s only one effective way to find the best deal on insurance: Compare personalized D.C. auto insurance quotes, side by side. Enter some basic info on Compare.com, then select the level of insurance you want. To find the absolute cheapest car insurance for you, pick state minimum coverage. Get started here! 2. 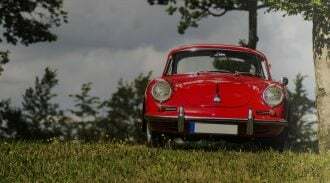 What Are D.C.’s Auto Insurance Requirements? 3. Do I Need More than D.C. State Minimum Insurance? That depends on your assets and your risk tolerance. 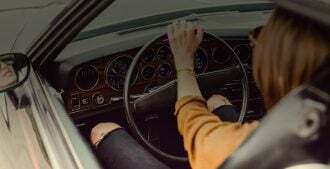 If you’re generally a safe and careful driver, and you think the chances of causing a major accident are low, you may be OK with minimum insurance. Nationwide, the average auto liability claim for property damage is $3,683, and the average auto liability claim for bodily injury was $16,110. That means if you cause a minor accident, 25/50/10 DC minimum insurance may be enough to cover you. However, if you own a house or investments, you should have higher coverage to protect yourself in case you get sued. And if you drive a newer car, or one with a loan, you’ll need to carry comprehensive and collision coverage to protect it. 4. How Can I Find Cheap D.C. Car Insurance that Gives Me Enough Protection? It’s not easy to find decent car insurance you can easily afford. But Compare.com can help! We’ll show you how. As an example, we’ll look at a 27-year-old driver living in Washington D.C. who has a clean driving record. When she enters her info on Compare.com, her quotes for state minimum insurance range from $140 to $151 per month, if she pays for six months of premiums up front. (You can also choose to pay month to month, but your rates will be higher). Those insurance rates are pretty cheap (for D.C.!) but our driver has a five-year old Jeep Compass she needs to protect. So she selects Basic coverage, which adds comprehensive and collision with a $1,000 deductible. Now, her quotes range from $223 to $252 per month. Now, let’s say our driver owns her own condo in the District, and she wants more insurance to protect her assets. Now, she’ll get quotes for the Plus level, which gives her a whole lot more coverage. 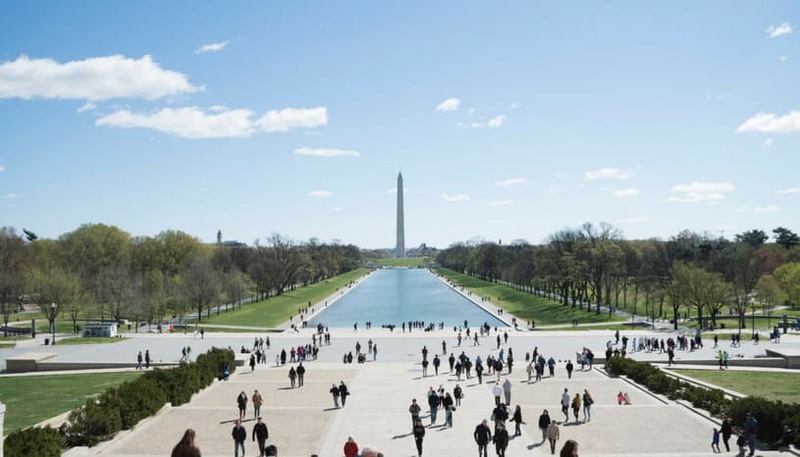 In D.C., Plus-level insurance raises bodily injury and property damage liability limits to 50/100/50 (with 50/100/25 uninsured motorist coverage). It adds $50,000 in personal injury protection (PIP), which covers medical expenses after an accident — no matter who was at fault. Plus also drops the comprehensive/collision deductible to $500, and adds towing/rental car coverage. Our D.C. driver’s best quote for Plus coverage is $297 per month. Your quotes will be different, of course! Take a few minutes to compare quotes, then once you find the best quote for the policy you want, just click to buy. 5. How Does D.C. no Fault Insurance Work? The District has a no-fault law for auto insurance, which means that when you get into an accident, you file a claim for your injuries with your own insurance company — no matter who’s at fault. So if a driver hits you and you suffer a fractured wrist, you would turn to your own insurance to pay your out-of-pocket medical expenses. A lot of people think “no-fault” means they’re safe from lawsuits, and therefore can get along fine with the state minimum car insurance. But that’s not really how it works. In D.C., you can sue another driver if they cause an accident that results in a significant impairment in performing daily activities; permanent disfigurement or scarring; or medical bills that exceed the limits of all applicable insurance policies. After a car accident, you have 60 days to either use your no-fault coverage or file suit against the at-fault driver. 6. I Can’t Afford D.C. Car Insurance. What Happens if I Drive Without Insurance? More than 15 percent of D.C. drivers are uninsured — probably because insurance is so expensive! But it’s not OK to drive without insurance. If you drop your insurance coverage, your vehicle registration will be suspended, and you’ll get hit with ever-increasing fines: $150 for a lapse in insurance coverage from 1 to 30 days, then $7 for each additional uninsured day, up to a maximum of $2,500. If you’re having a hard time finding D.C. car insurance you can afford, Compare.com can help you compare your options and get multiple quotes. Start now!